The travel essential you can’t do without for a long-haul or over-night flight. This 100% cashmere mask from Lily Winter has its yarn’s softness spun in Italy. To be honest, we were sold at the words “cashmere” and “Italy”, but what makes these incredibly soft eye masks even more worthy of being at the top of our list is the fact that it’s a Canadian-owned company, and a portion of the sale goes to help local women artisans in developing countries. 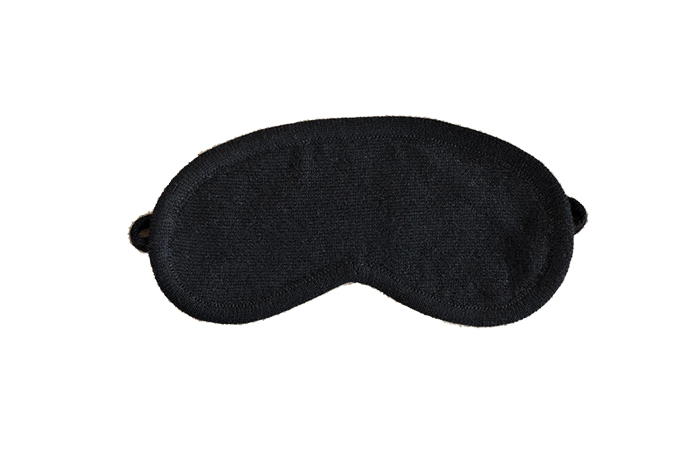 Lily Winter cashmere eye mask, $90. There’s probably no better way to let everyone around you on the plane (and a flight attendant), that you do not want to be disturbed. Not for coffee, not for food, not for anything. You just want to SLEEP. 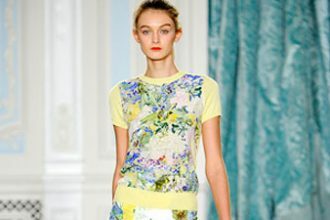 Aside from that, the silk mask will protect your gorgeous peepers from bright light so you’re fully rested. 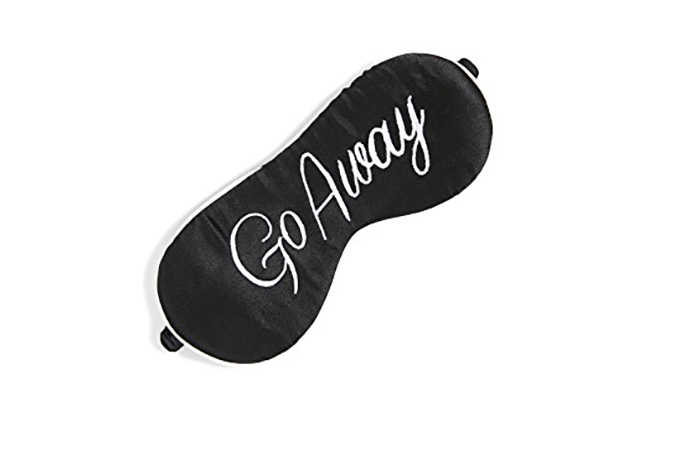 KISSKILL Go Away eye mask, $53. When a travel accessory is designed and developed by a former airline attendant, you can be pretty much 100% sure it’s going to do what you want it to do. Case in point, the travel accessory line by Volprivé. 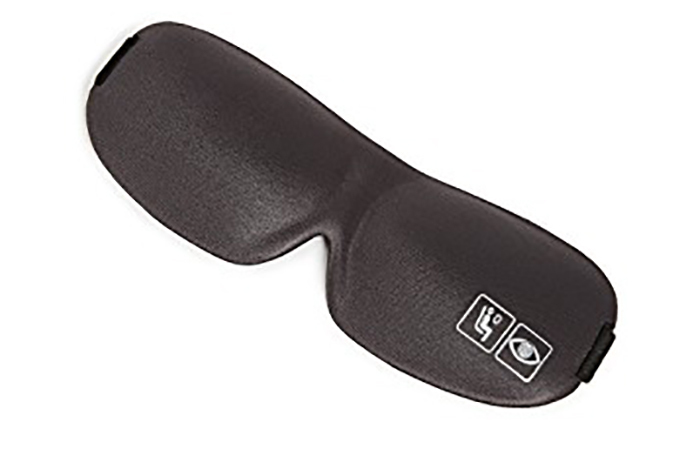 This eye mask is slightly oversized to ensure no light gets in, and is lightly weighted, so you get that spa, Zen-like feeling to help ease you into a restful sleep in your seat. 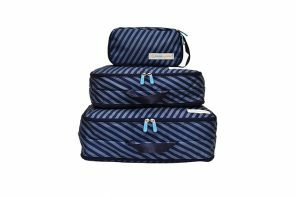 Flight 101 has been a travel cult-fave for a while now, making cool, affordable, functional and hipster-ish travel accessories to keep you organized and comfortable on board a plane. 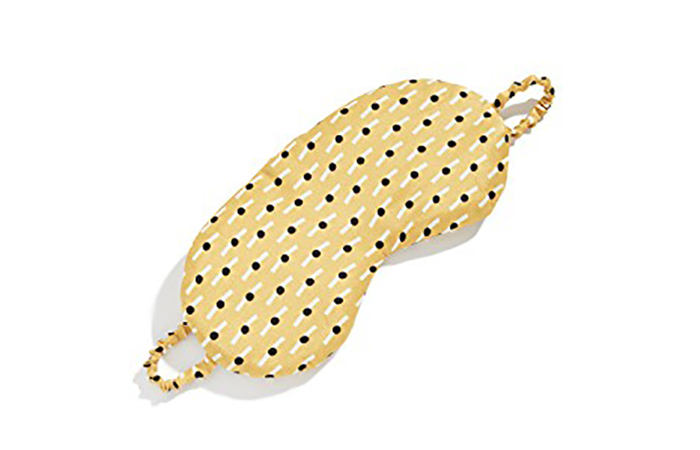 This particular eye mask molds to the shape of your face and eye, so there’s not a chance that even if the sun is streaming through the window, you won’t be getting some major shut-eye. Flight 101 eye mask, $24. Sometimes it’s a little less about function and little more about being playful and having fun, which this eye mask definitely is both. One thing we love about Chinti and Parker eye masks are their fun designs, but it’s still pretty practical in the sense that it has a cashmere shell, is super soft and folds up into a nice, tiny little nugget that won’t take up too much space. 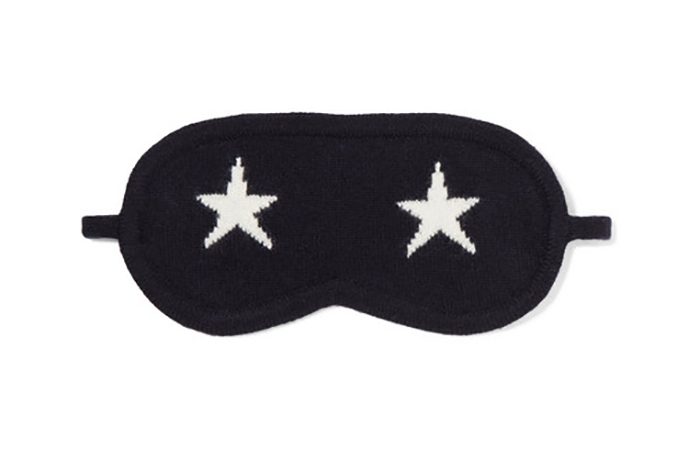 Chinti and Parker star eye mask, $138. 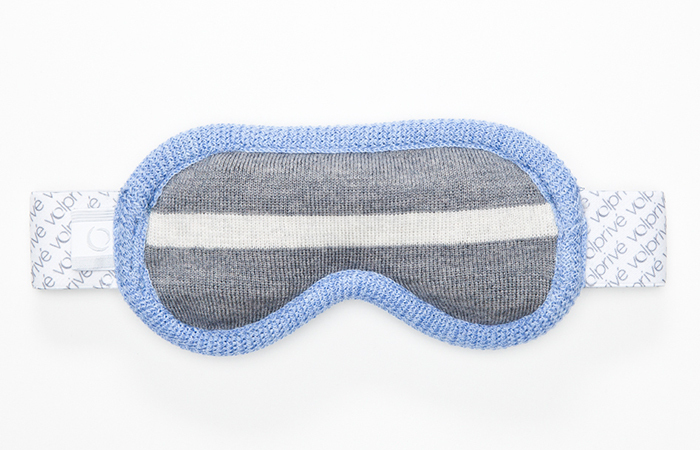 This adorable little eye mask comes from Asceno and we can’t get enough of it. Why not be cute during your sleep and look better when you land? 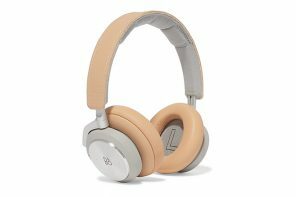 This one is perfect for a shorter haul flight with its silk outer shell and ruched elastic band. It will also work perfectly in that “sleeping on the plane” Instagram shot you’re going to ask your travel partner to take of you.